For if the deifying gifts of the Spirit in the saints are 'created', and are 'like a habit' or a 'natural imitation', ... then the saints are not deified beyond nature, nor are they born of God, nor are they spirit, as having been born of the Spirit, and, one spirit with the Lord, being joined to him. 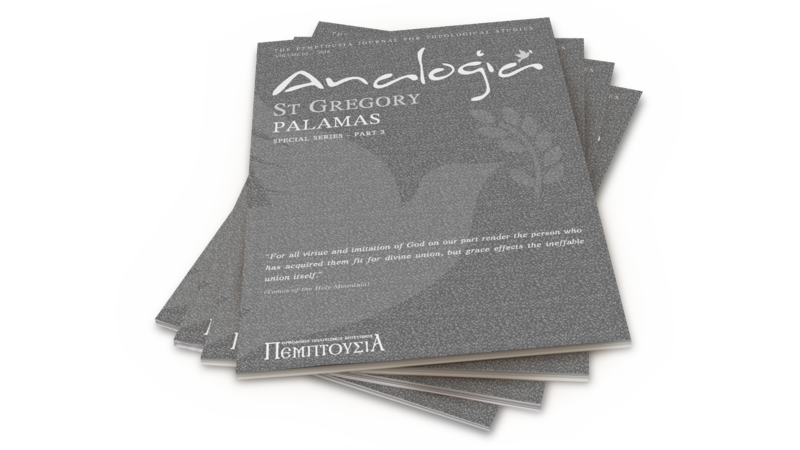 This new journal will provide a platform for Orthodox Christian scholars to engage with recent developments in the fields of philosophical and systematic theology. It promises to offer high quality and peer-reviewed articles, thus becoming a key resource for scholars in both academic and ecumenical contexts. We live in a time when western Christians are showing an unprecedented openness to the riches of the Orthodox tradition, while many Orthodox are similarly eager to engage and learn from other Christian traditions. Never has the need been greater for a journal devoted specifically to philosophical and theological exchange between Orthodoxy and the West. It is a pleasure to see that Pemptousia has stepped forward to fill this important role.